550 per month, $1, 550 secure deposit SMALL DOG or CAT ALLOWED UPON APPROVAL PET DEPOSIT 1. All applicants must have good credit to qualify. A $30 credit check is required,\. Please do not apply if you have bad credit or any evictions. NO EXCEPTIONS! 2. 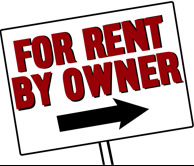 All applicants must have a good rental history. 3. Any and all residents over 18 years of age living in a unit must have an approved 4XNGD7 application on file with the office. When you move in you must pay the secure deposit and the rent with o y cashiers check or money order. No personal checks! NO EXCEPTIONS! Occupancy Guidelines: One Bedroom - Maximum Residents, Two Bedrooms - Maximum Residents, Three Bedrooms - Maximum Residents, Four Bedrooms - Maximum Residents Cats allowed, Small dogs allowed.